Successfully Added USB Webcam Server to your Shopping Cart. Imview is an affordable solution to your surveillance and security needs. 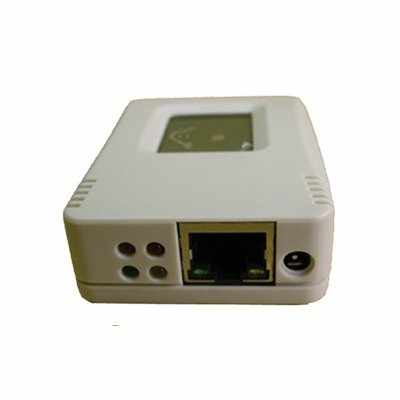 It is developed based on network technology. This device allows the user to stream live video images directly to the internet without a PC. In another words, iMView itself will act as your server / gateway to the internet specifically for streaming video images - live. In addition to substantial cost savings by eliminating the need for a PC, the user also enjoy sgreater flexibility. It's compact size (48mm x 63mm x 21mm) and light weight (75grams), allows the device to be easily installed almost anywhere. You can now have a monitoring camera installed at a location of your choice. Among some of its capabilities include motion detection, image recording, event logging, password enabled, emailing events, and etc... It can be configured that motion detected will be recorded onto your local hard drive. It can handle up to 30 viewers per USB camera and can set up to 8 user accounts. Features added to the latest: Support up to 30 simultaneous remote viewers per USB camera for remote control. Automatic Motion Detection and Image Recording functions and upload them to a specified FTP server or email.